CrossFit is a strength and conditioning program that is becoming a global phenomenon in a very short time. 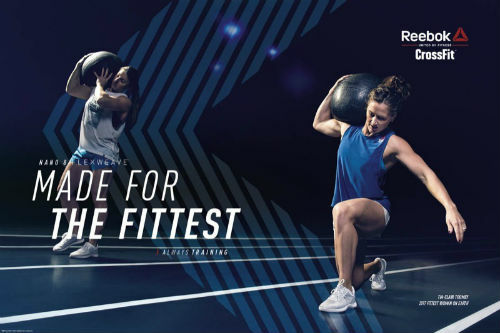 It involves a high range of flexibility-oriented workouts that includes everything from a casual jog or sprint or gymnastics to high-intensity training like Olympic weightlifting, plyometric, or cardio exercises. It offers some serious results in a very short amount of time to those who dedicated themselves to it! People from all over the world are actually going for this training program, and, of course, women are not lagging behind. Now, to maximize your performance in this particular sport, you need effective gear. This is because CrossFit involves very high endurance exercises that test and tend to push your limits to the maximum. So just spending hours at the gym is not enough because you will end up feeling sick and nauseated after such a hefty workout session. This is the reason why having the right kind of gear for this kind of training program is truly essential. Below are listed some of the best and must-have CrossFit workout gear for women, which will help you achieve the maximum in your workout session. The first thing that comes to mind whenever you are trying to think of CrossFit gear is the right pair of shoes without which an exercise, let alone CrossFit, is impossible to conduct. 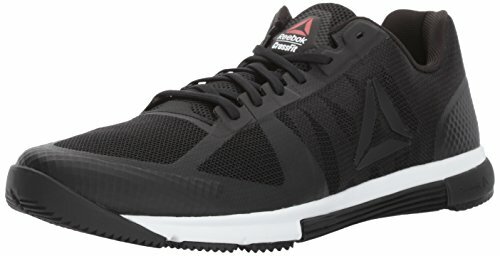 These top-quality CrossFit shoes from Reebok really make a difference in performance. 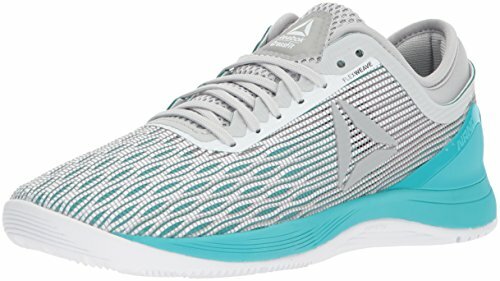 It is a pretty sturdy pair that will be able to put up with your daily, high-intensity workouts and provide a perfect fit, and not only in the gym. 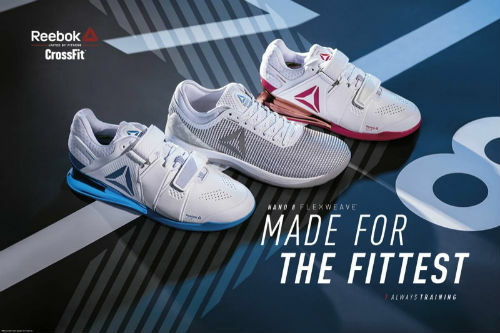 You can actually use these fashionable shoes from Reebok as daily wear too. 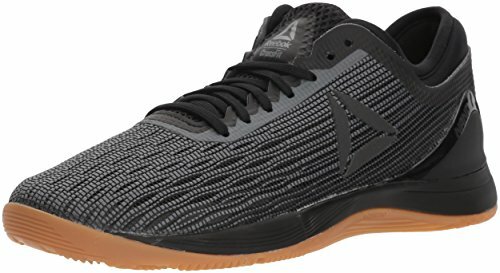 They super comfy, lightweight and deliver a good stance while lifting weight. Have you ever come across the knee-high socks that CrossFitters wear? Well, they are not only a style trend, but they actually guard your shins from all sorts of threats that you may face while performing CrossFit WODs like weightlifting, squats, deadlifts, etc. 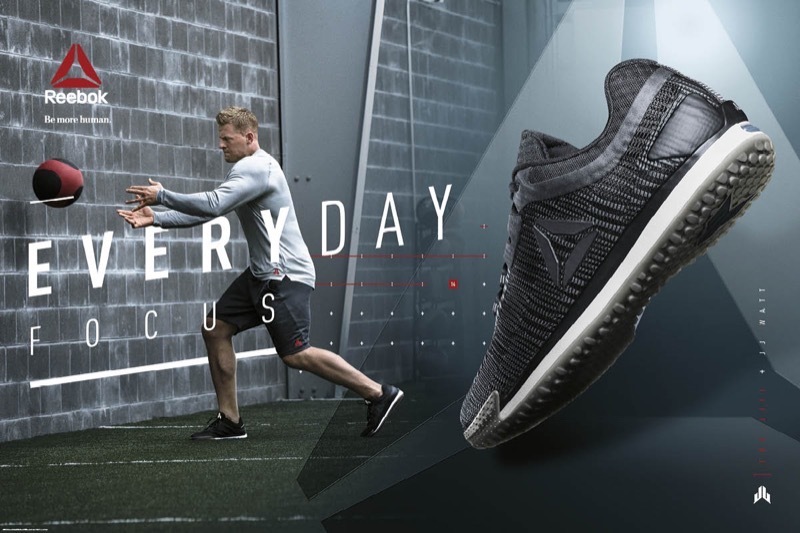 This offering from Reebok fits the bill absolutely, as it is not only very comfortable and long lasting but also gives maximum protection to your shins when you are working out. They’re stylish too! Do you think that any jump rope will help you perform unders or double unders at the box? If yes, then just try once with this one and you will definitely understand the difference. The right kind of gear is a must for CrossFit exercises, and this one is definitely not an exception. This one is a complete revelation once you start using it at the box. Sizing is pretty easy and it also exhibits a cool look. It is also very durable and will last you for years! Since this is a discussion about CrossFit gear for women, one thing that just can’t be missed is taking care of the hair during workouts. This offering from Junk Brands is of great help and solves the problem instantly. It is sweat wicking and quick drying along with being extremely comfortable. It is also machine washable. You don’t want your hair getting in the way of your maximum athletic performance, do you? If you are worried about your hands continuously ripping or sweating while working out, do not be any more. For here are the latest hand grips that are much less fussy than the old tapes you have been using. These WOD Fittners hand grips are super easy to put on, as you just have to slip it in through your middle or ring finger and tighten the Velcro around your wrists. This one keeps getting better with time as you break them in. Of course, it not only protects your hand but also provides ample comfort. This one is not a mandatory inclusion in your CrossFit gear, but it does provide ample support to the wrists while working out. 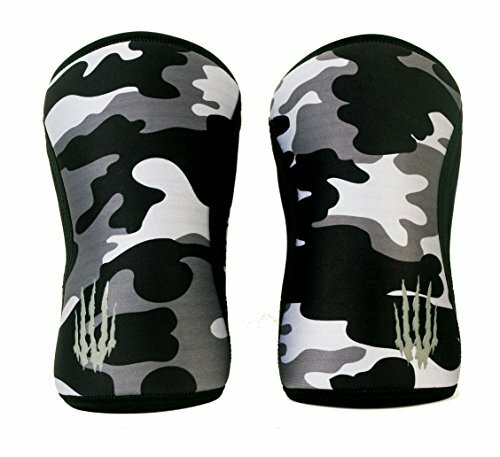 Thus you wrists remain protected during daily training sessions. Additionally, it is also very durable and should last for a long time. It provides ample support to the wrists while working out. What’s in the Bag of this CrossFit Games Athlete? One thing that is absolutely necessary for CrossFit training is keeping track of your daily progress. Everyday, whatever you achieve must be jotted down so that you may keep note of how you are improving. There’s nothing more rewarding than taking a look back through your old log books to see how much progress you’ve made in a month, 6 months or a year. If you’re looking for a bit of extra protection for your knees during a tough WOD, then you’ll want to consider a knee sleeve. They’re also ideal for running, sports or any kind of workout for that matter. A knee sleeve can help to keep your knee warm, as well as compressing it a little bit. This can lead to an increase in blood flow to the area, which helps aid in recovery as well as prevent injury. 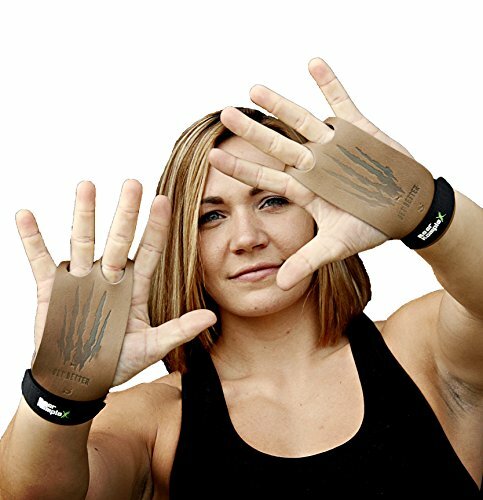 Bear Komplex Knee Sleeves: The Best Choice for CrossFit? Shoes are definitely the first priority when you are going for CrossFit training, as already mentioned above. 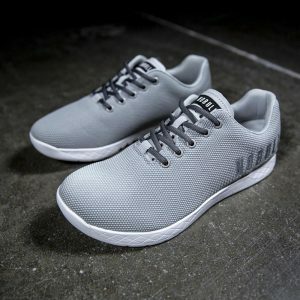 But since CrossFit is a very intensive form of exercise, only one pair of apt shoes may not be able to meet the various demands, which include sprinting, squatting, weight lifting, and more. Here comes the necessity of CrossFit lifters, which actually aid you when you are lifting weights. 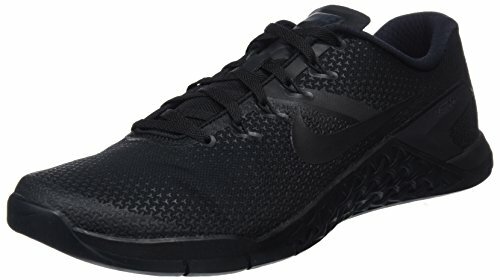 This is one of the best oly shoes that you can try. They are sturdy, very comfortable, and provide ample support, especially when you are practicing under the bar. 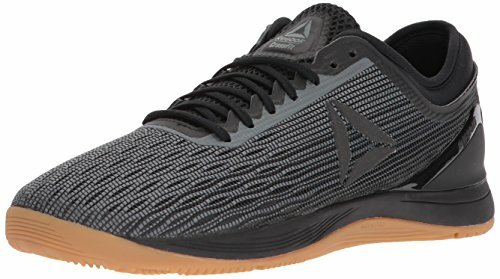 If you’re looking for some serious weightlifting performance, these CrossFit lifter shoes from Reebok fit the bill. Sometimes when you are working out vigorously you develop calluses on your hands. It is not always possible to go for a manicure, and as a result they may rip while you are working out, leaving you sore and perhaps not even able to work out the next day. For this it is advisable that you keep this shaver handy. It not only removes calluses but also helps in smoothing the skin. The slide-and-lock mechanism helps keep the shaver portion protected when not in use. It’s a must-have for those lifting some serious weights, as you do in an intense CrossFit workout. Last but not least, one thing that you just cannot do without is picking up the best pair of shorts for you. This one is more than just a bold style statement, as it comes with the special combination of great comfort and ample support. These top-quality CrossFit shorts provide comfort even during high-intensity workouts by reducing friction, and they also absorb sweat and wick it away from the skin. They also provide ample flexibility. A hidden pocket is an additional feature of this short for keeping your essentials such as keys or cards. Do you want to check out some of our top picks? You can easily find them here: CrossFit Sports Bras. Bear Komplex calls their hand grips the best on the planet. This may in fact be true. 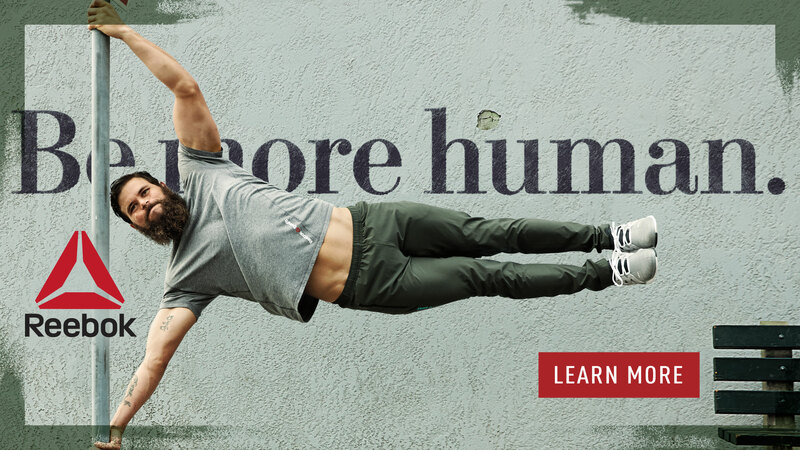 They’re lightweight, extremely durable and may be exactly what you need to make it through you next bodybuilding, gymnastics or CrossFit workout in style. These are some of the gear that are absolute imperatives for avid CrossFitters. They will help you achieve your best and break your own records. That is because for performing such a diversified activity as CrossFit, you need to be comfortable so that you can deliver your best and at the same ensure that you don’t get hurt. All these will help you reach your target and gain the maximum benefits from this outstanding workout program. So hey girls, what are you waiting for! Grab your essential CrossFit gear from women and get started. 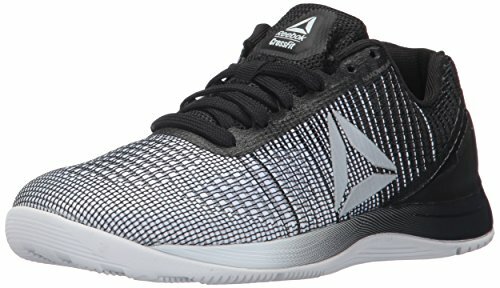 Do you want to know our top picks for CrossFit shoes? It’s what we specialize in after all. 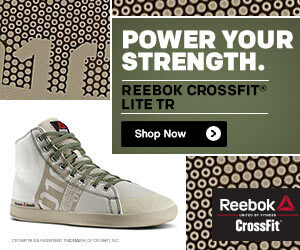 You can see our top choices here: CrossFit Shoes for Women. What are some of your must-haves for a CrossFit workout? Leave a comment below and let us know what you think.